Before seniors can apply for government financial aid you will need to apply for a pin number. This link will let you set up the pin number. You will need to wait about 2 days for your number to be assigned, then you are ready to start the financial aid process. Remember, if you are an A+ student you are required to fill out the FAFSA . ​Pay attention to the deadlines! There are federal and state deadlines, and your colleges may also have a deadline. 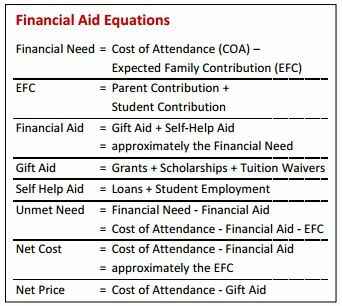 This is a helpful guide to use as you navigate through the FAFSA process. There is a resource packet that lists the steps in the FAFSA cycle, documents to collect, pitfalls to avoid and a listing of Missouri and Kansas learning institutions. In addition to the resource packet, a sample FAFSA worksheet is available so you can preview the document prior to filling your information in online at www.fafsa.gov.